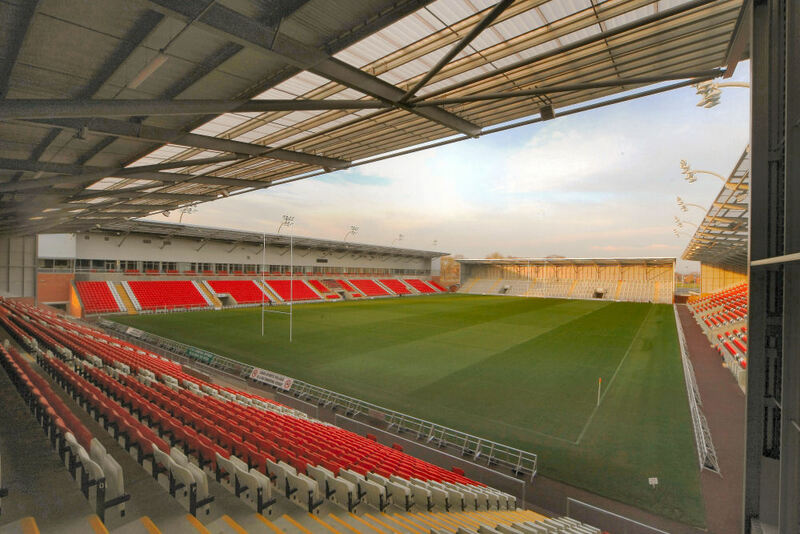 Leigh Sports Village Stadium has two designated disabled high level platforms in the West and East Stands (please note the East Stand is not always open), close to toilet facilities, along with a lift. These platforms are designated for wheelchair users, with carers seats allocated alongside the platforms. Pitch side facilities are also available. Pitch side facilities are also available for wheelchair users, with level access to all entrances, concourses and toilet and refreshment facilities. There are no restrictions on where ambulant supporters can purchase tickets in the stadium. Following the full application of the Disability Discrimination Act and Equality Act, legally the club must now charge all disabled fans the regular age-related price and are no longer permitted to charge a concessionary rate for everyone. If required a complimentary ticket can be provided if the disabled person needs assistance from a carer, however proof of higher rate Disability Living Allowance or Personal Independence Payment must be presented at the ticket office when tickets are purchased. Without such documentation, a carer’s ticket will be refused, and any additional tickets will be chargeable at the regular age-related price. The Leigh Sports Village site has ample disabled parking. This is all first come, first served. A valid blue disabled badge must be displayed in the windscreen of any vehicle parked in a disabled bay. Failure to display a valid disabled badge may result in a parking fine on your vehicle. If you have any further questions, please contact the Leigh Sports Village Stadium Ticket Office on 01942 487888, or e-mail Customers Relations and Box Office Manager Matt Lawton on m.lawton@leighsportsvillage.co.uk.